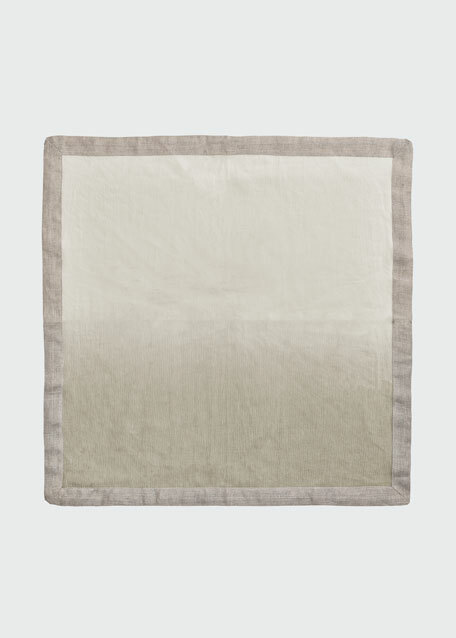 SFERRA Hemstitch Tablecloth, 66" x 106"
SFERRAHemstitch Tablecloth, 66" x 106"
Linen dip-dye napkin. Solid border. 21"Sq. Hand wash. Machine wash. Imported. 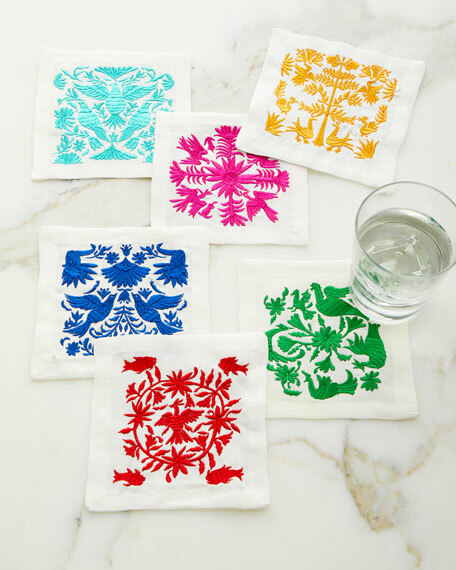 Linen cocktail napkins with embroidery. Six-piece set. 6"Sq. Machine wash. Imported. Exclusively ours. 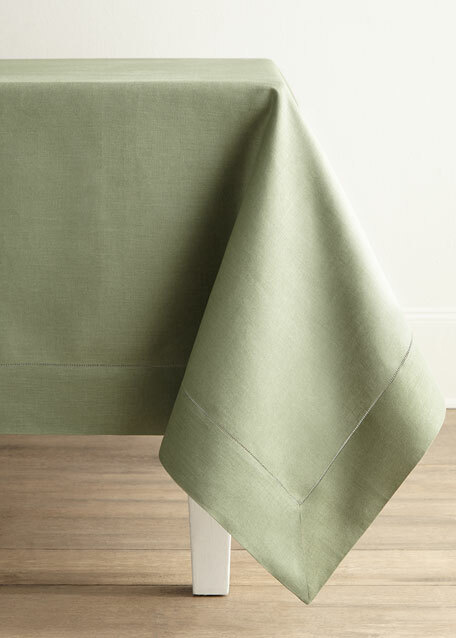 Tablecloth with scalloped edge. Cotton/polyester. Machine wash. 120"Dia. Made in the USA of imported materials.